The Galapagos Islands, renowned for their unique wildlife and other-worldly landscapes, top many traveler’s bucket lists. With numerous incredible species endemic to the archipelago, glistening waters filled with life and spectacular volcanic landscapes, a cruise here can be a truly life changing experience. Yet every visitor to the islands faces the challenge of choosing the perfect Galapagos itinerary. 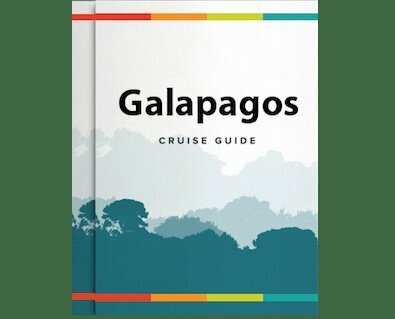 The Galapagos are situated in the vast Pacific Ocean and consist of 13 main islands and 7 small islands, scattered on both sides of the equator around 575 miles to the west of Ecuador. The Ecuadorian government closely controls all cruise operations. Every licensed vessel follows a 15-day route approved by the Galapagos National Park authorities. Cruises typically start and end in Santa Cruz (or Baltra), the archipelago’s most populous island and main transportation hub, conveniently located in the centre of the island group. Different cruise lines segment their 15 day routes in various ways, though 4, 5 and 8 day options are most typical. The most common way to slice itineraries is using an East/West island split, with some boats heading out to the most distant north easterly islands (Genovesa and Espanola), whilst others make their way towards the most distant westerly islands (Isabela and Fernandina), stopping at various other islands en route. Many visitors choose to combine these shorter segments into longer 12 or 15 day tours, as most boats make both itineraries on alternating weeks. But if you’re short on time, which itinerary should you opt for? East or West? Below, we’ve outlined some of the main differences between the Eastern and Western Galapagos, as well as profiling what you can expect from some of the main island destinations. The key to understanding the difference between the Eastern and Western Galapagos is to learn a little about the island’s geological formation. The Galapagos are thought to be the result of a combination of hot spot volcanism and plate tectonics. The islands are situated on the Nazca plate which is gradually moving east into the South American plate. As the plate moves, weak spots are created where the Earth’s crust is being melted from below by mantle plumes. Lava comes up to the surface, creating volcanoes and continuous eruptions that eventually form islands that emerge above the ocean’s surface. As the tectonic plates are moving, the volcanic activity moves as well, explaining the creation of an entire archipelago, as well as the distinctive landscapes and unique ecology of each island. The oldest islands are to the East, whilst newer islands are continuously being created in the West. Eastern islands have had more time to develop vegetation and are much greener than those to the west that are rockier and much barer in comparison. The more easterly islands are also smaller and some have even partially or completely disappeared beneath the ocean surface. Meanwhile, the younger islands to the West are much larger because they have witnessed volcanic eruptions much more recently, including up to the present day. Both easterly and westerly itineraries have certain elements in common. On many of the routes you’ll visit Santa Cruz and Puerto Ayora, where you can explore the Charles Darwin Research Station, the lush forested highlights and witness a great diversity of fascinating wildlife. Baltra island and San Cristobal island are home to international airports, another common stop on the itineraries. The main differences between the two routes are outlined below. Flora and fauna you can expect to see on Eastern itineraries that you are unlikely to see on the Western islands include waved albatross, red-footed boobies, dense colonies of land iguanas and the most impressive giant opuntia cactuses. There are also more opportunities for swimming with penguins and viewing sharks while snorkelling, as well as for spotting a greater variety of birdlife such as swallow-tailed gulls, red-billed tropic birds and swarms of petrels. Whereas many of the more far-flung western islands can only be visited as part of a cruise, it’s worth noting that the East is generally more accessible for independent travellers and land-based island hopping trips. Genovesa: A rocky volcanic caldera and birding paradise home to Darwin Bay and the popular hiking trail Prince Phillips Steps. Floreana: Visit the spectacular flamingo lagoon at Punta Cormorant, the historic Post Office Bay and Devil’s Crown, a perfect snorkelling spot with interesting coral growths. Espanola: The southernmost island of the Galapagos, and a famous breeding site for 12,000 pairs of waved albatrosses, along with numerous other bird species, marine iguanas and sea lions. San Cristobal: The geologically oldest island, boasting a large number of spectacular sites, including Puerto Baquerizo Moreno, the San Cristobal Interpretation Centre, Punta Pitt (the only place you can see red-footed boobies) and the impressive Leon Dormido rock. Santa Fe: This small island is the perfect habitat for land iguanas, tall opuntia cactuses, as well as sea turtles and manta rays. North Seymour: A popular breeding ground for seabirds, as well as a great island for witnessing large packs of sea lions basking on the shore. The younger, more westerly islands are famed for their other-worldly lava landscapes, along with their fantastic beaches and giant uplifted coral beds. Wildlife that you are more likely to see in the West than in the East include flightless cormorants, mangrove and medium tree finches, whales and dolphins, and giant sunfish. There’s also a greater chance of approaching fur seals and marine iguanas more closely, as well a higher probability of catching a sight of a giant tortoise in the wild. Isabela: This is the largest and most volcanically active island in the Galapagos, and a popular stop on most itineraries. It's incredibly rich in wildlife, including five species of giant tortoise, humpback whales and plentiful marine creatures around the mangrove lagoons. Santiago: Witness the vast James Bay and huge colonies of fur sea lions. Fernandina: This is the youngest of the islands, boasting one of the most pristine ecosystems. Don’t miss the lava fields of Punta Espinoza or the flightless cormorant nesting site. Bartolome: Climb its iconic peak for fantastic panoramic views of varied lava formations, especially breath-taking at sunset. The iconic Pinnacle Rock can be seen here. Whichever itinerary you opt for, whether east or west (and especially if you choose to combine both!) you’re bound to have an unforgettable time. For more information about the difference between the Eastern and Western Galapagos Islands, please Contact Us. You can also give us a call 1-888-215-3555, and we'll start planning your Galapagos Tour.